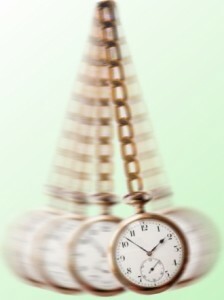 Hypnosis has been around for most of our time as humans in some way or other. The Shaman would use Trance for Healing and Instruction. Greeks and Egyptians had versions of Dream Temples of Healing involving something very like hypnotic trance. In the last few hundred years our understanding of trance and hypnotic techniques and applications of hypnosis for therapy have increased. Despite this many people still think some pretty strange things about hypnosis. Authoritarian hypnotic techniques are direct and instructive and are not for everyone – not everyone wants to be told what to do. Permissive hypnosis is subtle and works with the client to find a way forward utilising the clients own ability to see their issue in a new light. We work to find strategies to change the script! If this method did work then if you fell asleep watching the news you should still know what happened in the world when you woke up. This does not happen. However, when you are in trance you are not asleep. It may feel that way because that seems the closest thing to your experience. Quite a few clients tell me that they fall asleep and when I gently point out that they are losing weight /stopped smoking / moved beyond the issue they have to concede that something must have been happenings! Actually trance is a state of focussed awareness. When Jessica Ennis Hill is participating in a race she talks of going into the Zone. She means this state of focussed awareness similar to when you watch a film or sports event and don’t notice anything but the event that you are “lost” in. When you are in trance it is possible to hear messages and ideas without having conscious awareness of them. With this knowledge you could then find your thoughts, feelings and behaviour changing. This happens because you stop referring to the old habits and cravings and start looking at your Life in a new way. Everyone can and does go into trance, pretty much every single day. Every time you really concentrate and drift away distractions you are utilising trance. A good hypnotherapist who takes the time to find out about you as a person and who has experience and a range of skills in helping people will have a much better chance of helping someone be in a hypnotic state of mind. There is also an element of co-operation though. If you don’t want to be hypnotised you could sit there with your eyes closed and in your head just say “No, I CANNOT be hypnotised. I’m not going to drift off, I’m not going to go into trance!” and it almost certainly won’t happen. But then what is the point in going to see a hypnotherapist if you are not willing to be hypnotised. It isn’t Mind Control and you won’t be doing the funky chicken in the therapy room! When a good hypnotherapist works with someone who wants to make an achievable change there is a great chance that change will happen. “All hypnosis is self hypnosis.” You hypnotise yourself, all the time. For example when you convince yourself an injection will hurt and and imagine just how painful it will be before the event you make it much more likely to hurt. This is a sort of negative self hypnosis. A hypnotherapist will help you to go into trance but won’t make you do anything. Think of it as more of a partnership between you and your hypnotherapist. This is a big fear of some people and can mean that they don’t ask for the help of a hypnotherapist when it could be the most appropriate and useful method of personal change. The reason they don’t ask for help is because they are afraid that they won’t be in control. This kind of thinking often affects people who describe themselves as “a bit of a control freak”. The truth of the matter is that people who like to be in control actually often make the best hypnotic subjects as they know themselves, their thought and feelings in a lot of detail which means that they can provide great insight into their situation which helps the hypnotherapist find the most appropriate and effective method of help. In any case a Professional Hypnotherapist should be on a Professional Register like the GHR and regulated by the General Hypnotherapy Standards Council (GHSC). Some are also approved by the CNHC Complementary National Healthcare – a gold standard of approved practitioners. I use Hypnotherapy with Hypnoanalysis and NLP to help you most efficiently change your life and move forward free of those habits traumas restrictions fears phobias issue. If you have any questions about hypnosis and hypnotherapy that are not answered here or on my FAQ page please do get in touch using the details on my contact page. I am more than happy to provide a free phone call – call me and leave a message or text 07875720623 to help you make an informed and educated decision about whether hypnosis is right for you in confidence.